It is being reported on September 21, 2015 that the trial for two 12-year-olds who are charged with stabbing a friend 19 times has been delayed. The two young girls were tried as adults but their lawyers want to move the trial to the juvenile courts. The trial was scheduled to begin on October 15th but is now delayed pending a decision by the appeals court on whether they can be moved to juvenile court. Posted in: Crime & Courts	| Tagged: Anissa Weier, Morgan Geyser, Stabbing, Trial, Wis. 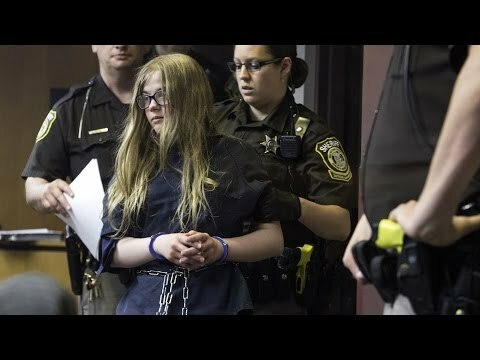 It is being reported on August 21, 2015 that the two12-year-old girls who attempted to kill their friend in a sacrifice to the fictitious character Slenderman, plead not guilty in court today. The two girls, Morgan Geyser and Anissa Weier, now 13, are being tried as adults and face decades in prison. Posted in: Crime & Courts, Murder	| Tagged: Anissa Weier, Morgan Geyser, Murder trial, Slenderman, Wis.